MEITEC was awarded the electrical and instrumentation hookup and commissioning on the Chevron Bigfoot Project in 2011, a very critical part of the project, requiring advanced technical expertise and extraordinary scheduling and coordination skills. MEITEC has been working on the structure since its arrival in Corpus Christie from Korea in early 2012. In March of 2015 the platform was moved to its permanent location on Walker Ridge Development in the Gulf of Mexico, WR Block 29, 225 miles south of New Orleans. MEITEC is commencing the offshore phase of Offshore hookup and commissioning. Big foot is a dry tree facility which will be located in a water depth of 5200 feet of water. The Floating Production Unit (FPU) concept for Big Foot is an extended tension leg platform (ETLP). The facility includes a hull system, tendons and anchoring system, risers, process and export facilities, utilities and living quarters. The process facility is designed for oil production, gas compression, and water injection. Additionally the FPU will support a full drilling rig capable to drill and complete the subsea wells (7-9 production and 2-3 water injection). The Facility will be capable of producing 75,000 BOPD oil, 25MMSCFPD gas. 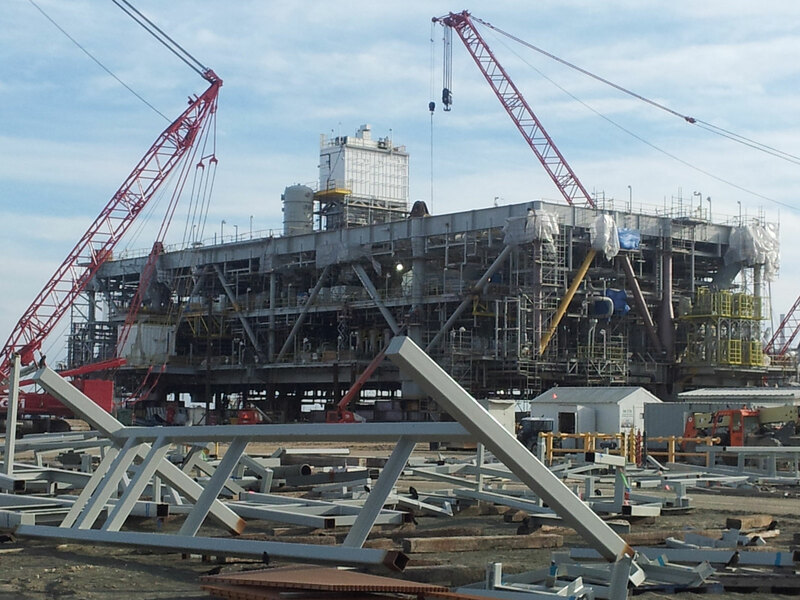 Three modules will contain the equipment for this FPU; Process, Drilling, and Utility Modules. During the commissioning phase and up to start-up of the facility, MEITEC has been working in conjunction with the Electrical Contractor in order to maintain Chevron’s project schedule and meet milestones. MEITEC continues to successfully commission various systems and meet milestones safely and incident free. MEITEC is proud to be such an integral part of the Chevron Bigfoot Project , and credit MEITEC employees for such a successful effort.